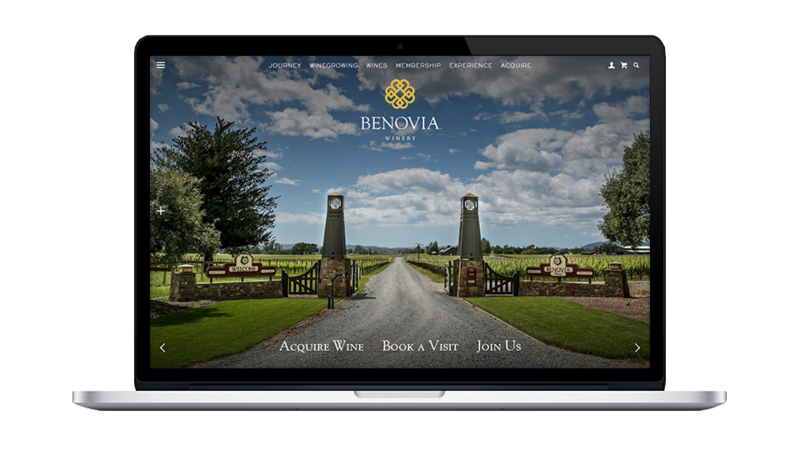 Benovia is a family-owned winery in the heart of the Russian River Valley dedicated to producing world class ultra-premium wines in limited quantities from its estate vineyard and select vineyard sites. Tell the story of the people, philosophy, and wines in a visual imagery-driven way that entices people to want to visit and purchase wine. Express Benovia as a luxury brand blending a modern approach with handcrafted elegance, guided by an ethic of quality. Create a secure convenient purchasing experience for customers, encourage participation in the mailing list and wine club, and facilitate contact about visits. Appeal to a mixed audience including new and established wine drinkers who are passionate about high quality wines.